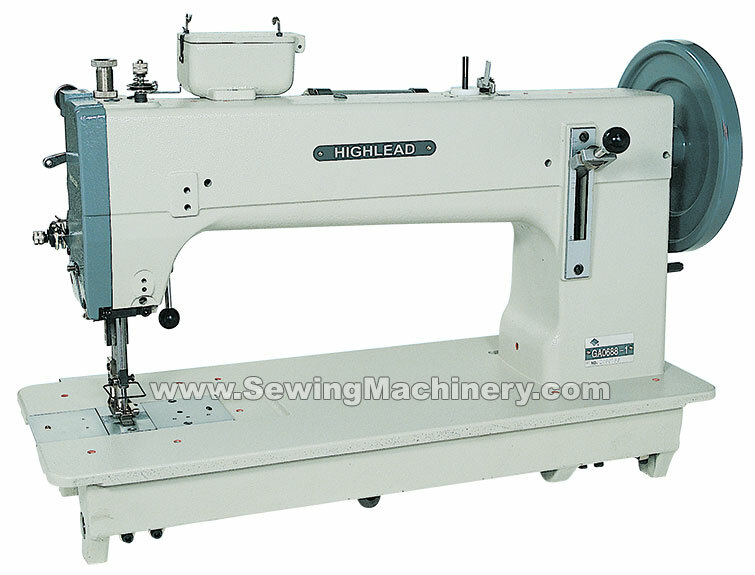 This model is the giant in the Highlead range of compound feed + walking foot flatbed heavy duty sewing machines (bottom feed, needle feed and walking foot feed). 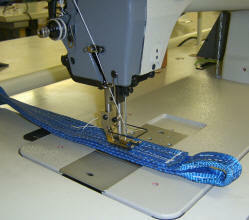 Its powerful and steady feeding action enables you to sew multiple ply of heavy weight material with a true and even stitch. The special extra large shuttle hook and bobbin capacity reduces the number of bobbin changes and offers high efficiency in sewing products using extra thick thread up to metric size 8* (including sizes 30, 25, 20, 12, 10, 8 & V92, V138, V207, V242, V277*). The presser foot has an extra high lift and can go up to 25mm, allowing for a large range of extra heavy weight material or bulky items to be used. The head has a long arm internal working area of 400mm to the right of needle and a high under arm clearance. Harnesses, Saddle materials, sails, carpets, thick canvas & leather, bags, rugs, parachutes, heavy webbing, safety belts, straps, buffing wheels, bulky quilting & beds etc. + many other extra heavy weight or bulky jobs.